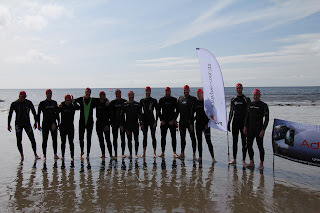 Adventurous Experiences Blog: Isle of Man Adventure Race 2011 - day 1. Isle of Man Adventure Race 2011 - day 1. Putting out the markers in the early morning. 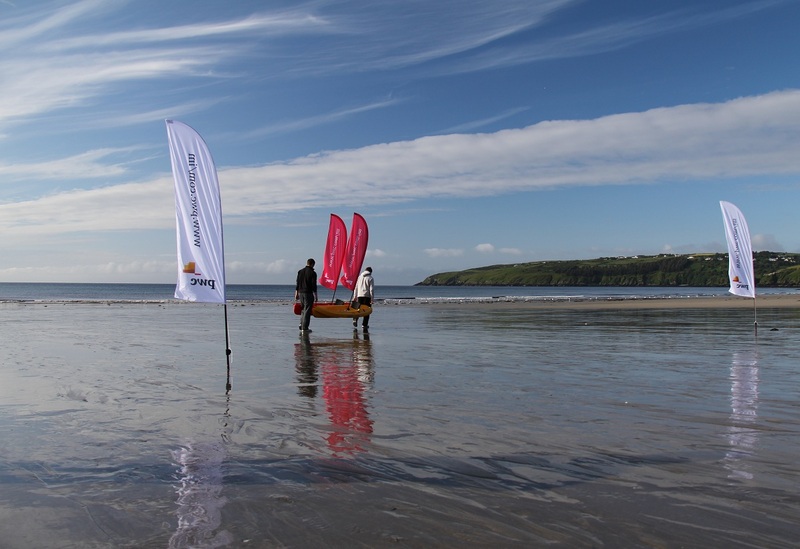 Official sponsors of the Isle of Man Adventure Race - PricewaterhouseCoopers. 48 competitors, twice as many supporters and a crowd of spectators. 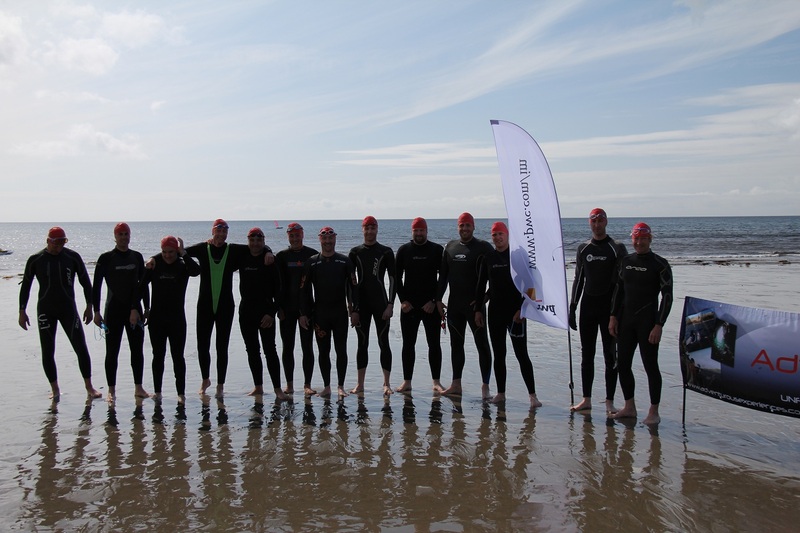 Line-up of the sea swimmers just before the start - the sea swim was also supported by Speedo. 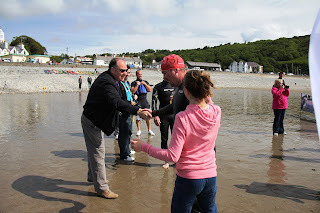 Geoff Corkish MHK gave a short speech then started the 1km sea swim at exactly 10am. 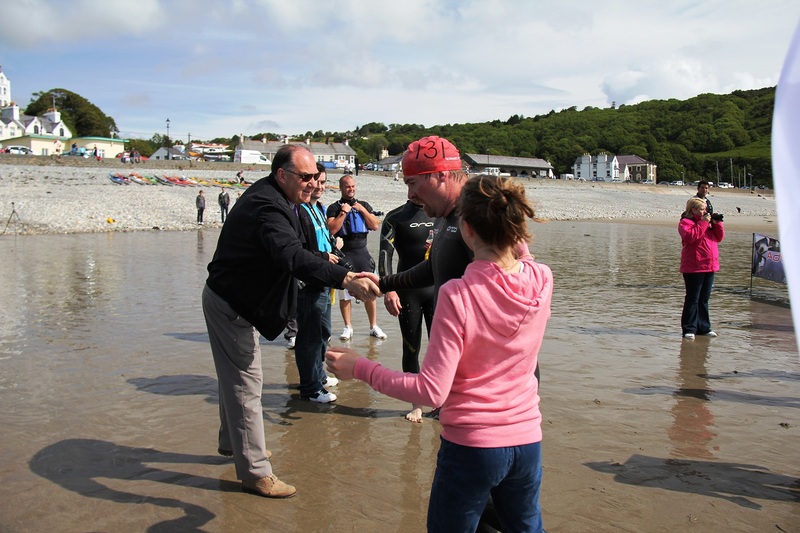 Geoff was also on the beach to congratulate individual competitors at the finish. 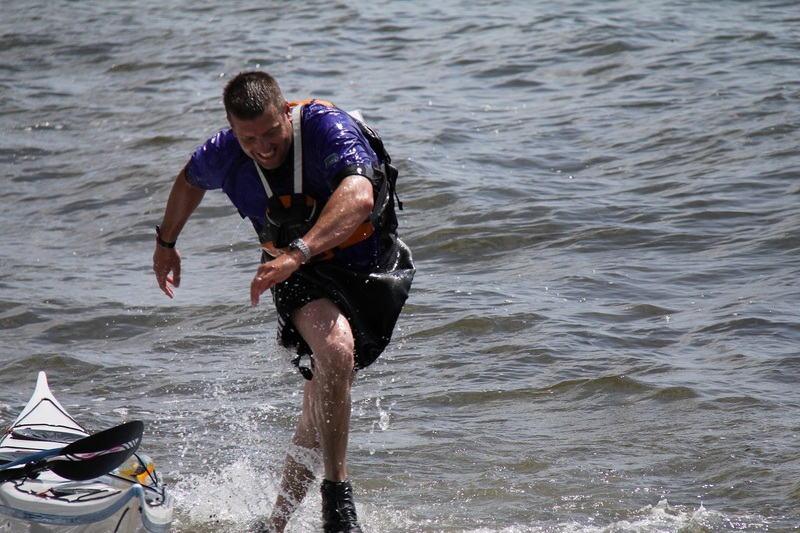 The course included the eddy current across the bay, making it a real challenge! Some phenomenal performances - pic George Shaw, Captain of the 'Adventure Club Outsiders' team winning the sea kayak race, having also won the sea swim with a clear lead on the final stretch. 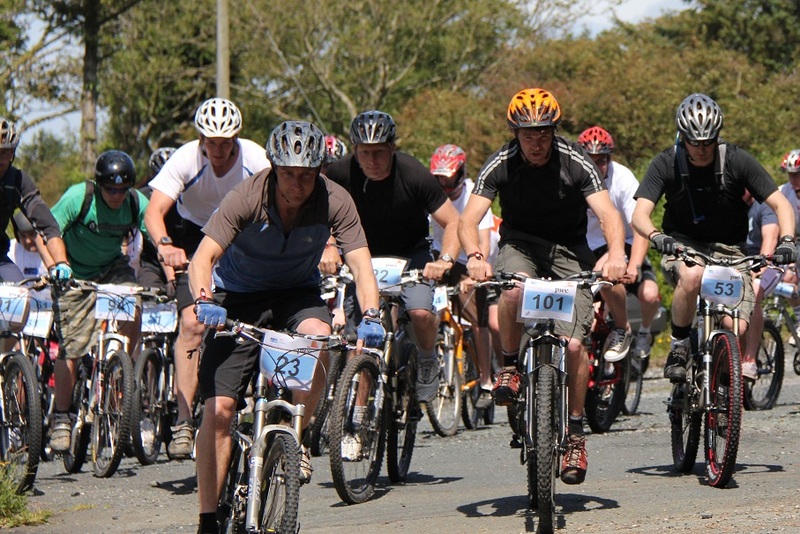 Mountain Bike mass start on the West Coast. 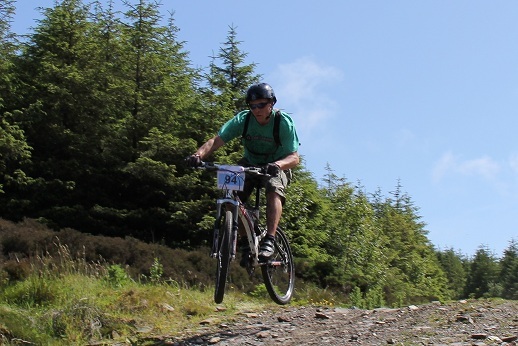 Russel Sansom (Sammo) in pole position on the Mountain Bike route. 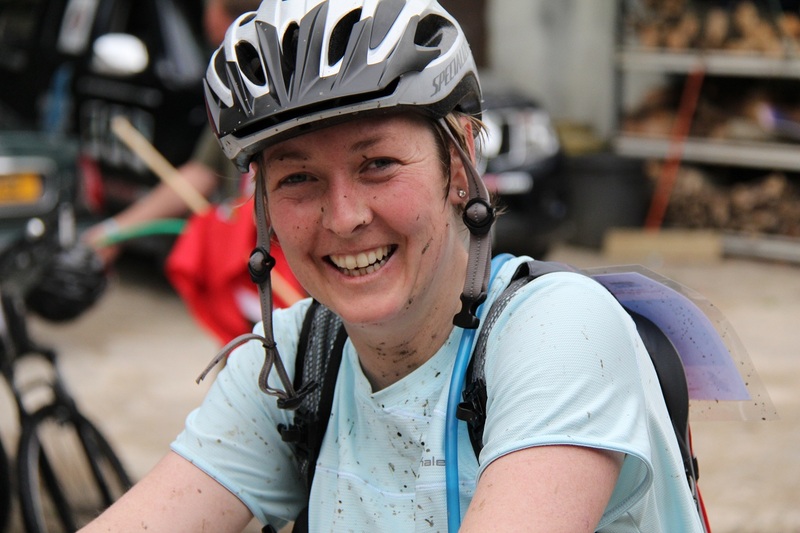 Sammo from team 'Hardly Athletic' won both the Bike and the Hill Run the following day. 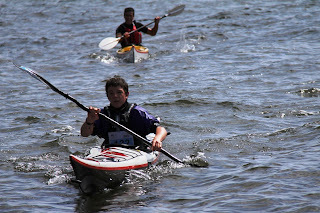 Kim Tastagh competing in the 'Green Mann Spring' team, burning off strong competition from Ollie Keenan 'Youth Scholarship' team, to take 3rd place in the sea kayaking. At 16 years old Kim and team mate Lucas Croyden are the youngest athletes to compete to date. Kim also finished 6th in the Bike event earning him the prize for Best Newcomer. Onnor Collister in team 'Baker Tilly Marine Corp' at the end of the Mountain Bike route. Onnor picked up the prize for 'Individual Most Effort'. 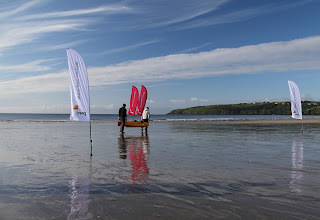 Adventurous Experiences would like to thank the Adventure Race official sponsor - PwC, and supporters of the Isle of Man Adventure Race; IoM Steam Packet Co, Sea Kayaking UK, Green Mann Spring, Mychreests Motors, Speedo swimwear, 3FM, members of the Adventure Club and our team of highly trained, professional coaches for all their considerable effort. Thanks to everyone for another terrific event! Sea Kayaking with Basking Sharks today!